← Pre-order The TVC Imperial Assault Tank Driver For $12.97! 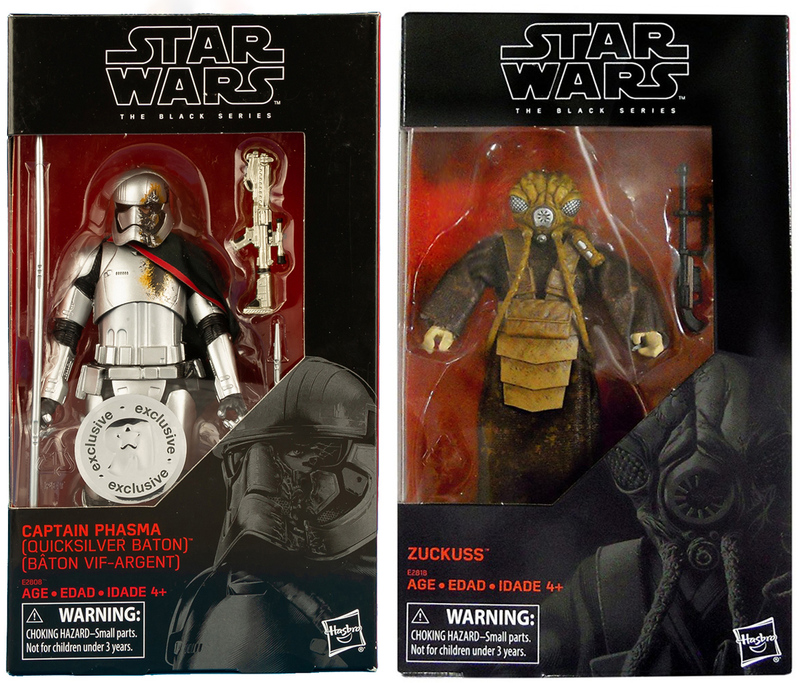 Collectors Outside North America: Any Luck Getting Zuckuss And Phasma? Well, I was informed today by my etailer of choice in Germany that they will most likely not get the US Disney Store exclusives Phasma (Quicksilver Baton) and Zuckuss. But they wished me good luck finding the figures elsewhere. Ok, ebay usually has everything and not getting the figures at all was never the problem, but ebay has ebay prices and of course you can get Zuckuss and Phasma both on ebay. And I pulled the trigger, but not without much grumbling. However, the whole bounty hunter collection would be pretty much useless without Zuckuss. The question now is, fellow collectors outside North America: were you able to find, pre-order or buy either of the figures in your country (other than on ebay, that is)? And dear Hasbro, why on earth is it so difficult sometimes to get figures to distributors or etailers outside of North America? And why can’t or won’t the various Disney Stores in Europe and elsewhere sell the figures? You had all the time in the world since TRU’s demise to figure out something? You do realize that Zuckuss is needed to complete the 6 inch bounty hunters and that collectors will be quite annoyed if they can’t get him? Not For Sale Outside North America? Do you want to see one of the freakiest things ever? JTA reader Andrew C. found a Captain Phasma (Quicksilver Baton) figure at his local Disney Store today with the helmet loose and off of the figure’s head revealing what Captain Phasma looks like underneath. It’s freaky! Check it out! Shop Disney Hasbro 6" Exclusives Live! All of the Shop Disney exclusives are live and available to order! Use THIS LINK to order them. Grab Zuckuss, Captain Phasma (Quicksilver Baton) and Stormtrooper (With Blast Accessories). Use PROMO CODE SHIPMAGIC for free shipping for orders over $75. We reviewed all three months ago. Check out our reviews and images HERE.